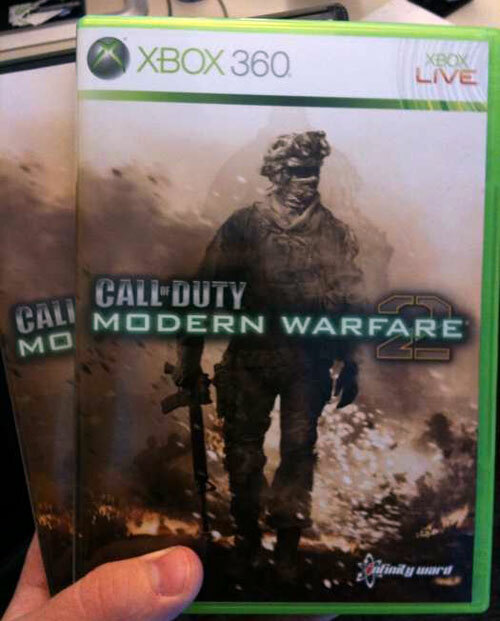 MW2 got its prefix back and if you haven't figured out it yet: Modern Warfare 2 is the direct sequel to Call of Duty 4: Modern Warfare. The name change comes a few weeks after a study from OTX, which stated that the game's awareness level amongst potential buyers dropped nearly 20 percent when it did not have the Call of Duty title. It was reported earlier that the potential market for Modern Warfare 2 consists of nearly 25 million gamers. 20 percent from that is 5 million potential buyers, which is a lot of money to be lost, so obviously the Call of Duty prefix was a no brainer. Infinity Ward's Community Manager has also revealed the new case for MW2, check it out below.